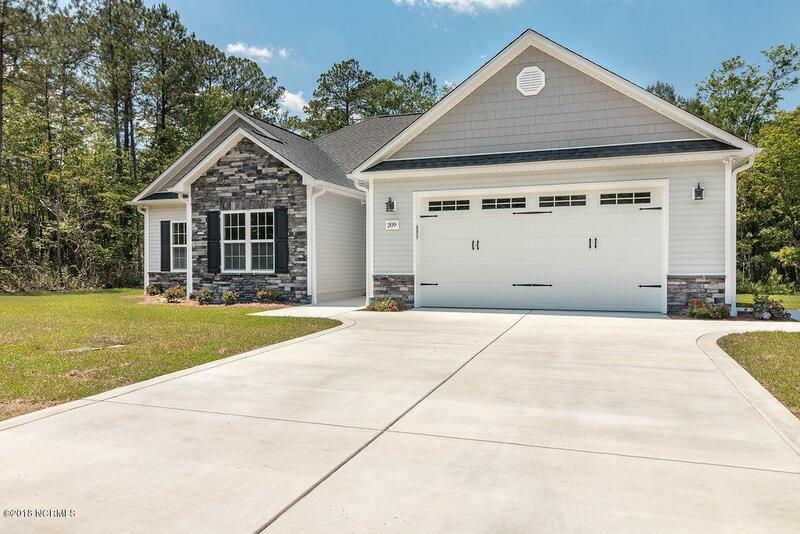 Welcome to this New Construction home located in the desirable neighborhood of Blue Creek Farms! This is not your typical new construction home. Builder has designed a well thought out floor plan with many high end features. 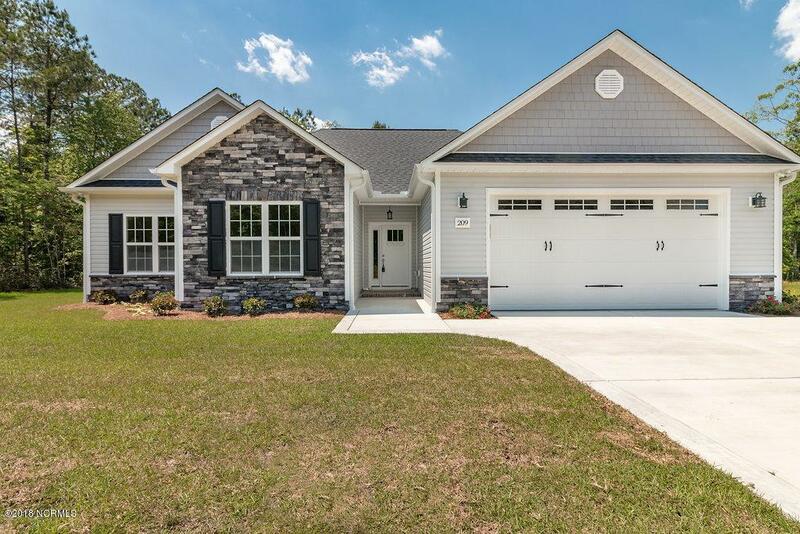 Once you pull into the driveway you will see the curb appeal of this home, with stone/brick accents, architectural shingles, a carriage style garage door, sodded front and side yards and it will be professionally landscaped. 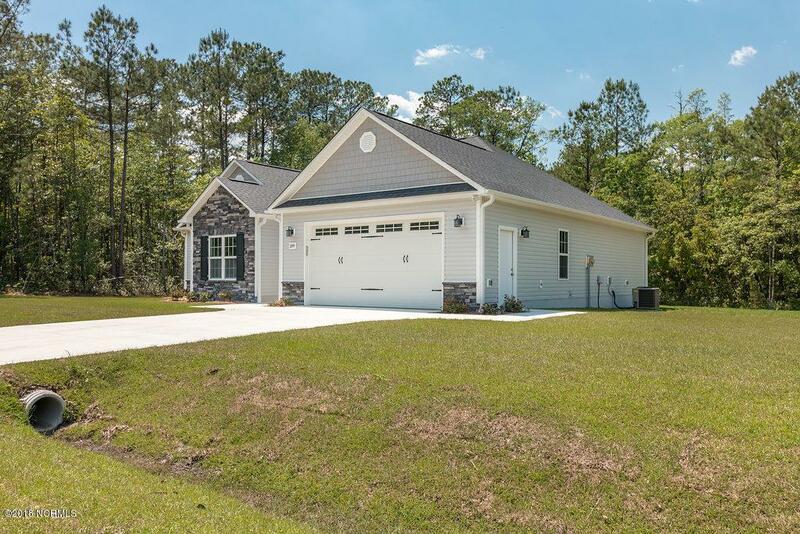 When you enter through the front door you will be welcomed by a spacious foyer that opens up to the large and open living areas that come complete with Luxury Vinyl Plank Flooring and 9 foot ceilings. The kitchen offers stained cabinets with crown molding, a large kitchen island, a walk in pantry and stainless appliances.The dining area provides access to the spacious backyard and covered patio. The split bedroom floor plan provides, privacy and large rooms. The Master Suite has a large walk in closet, double vanity sinks, a shower and a separate soaking tub. The home comes complete with a laundry room off the garage. Home is complete and ready to move in! 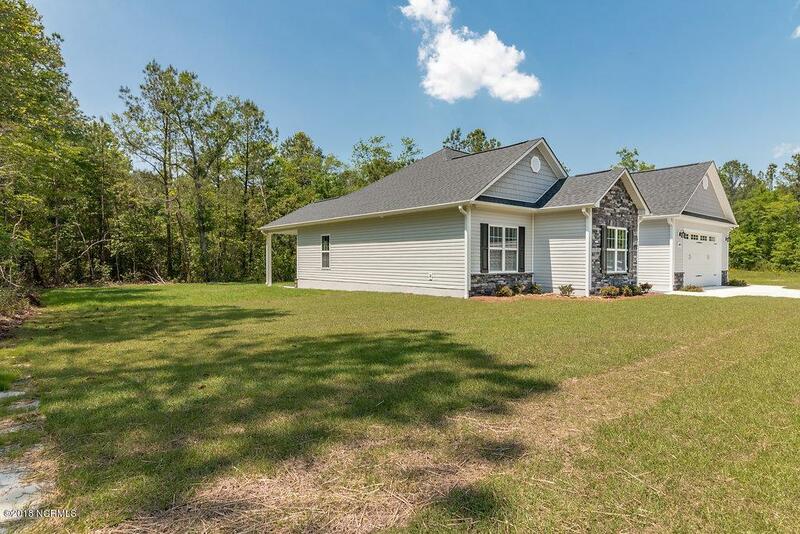 Listing provided courtesy of Lacy F Raynor of Coldwell Banker Sea Coast Advantage - Jacksonville.